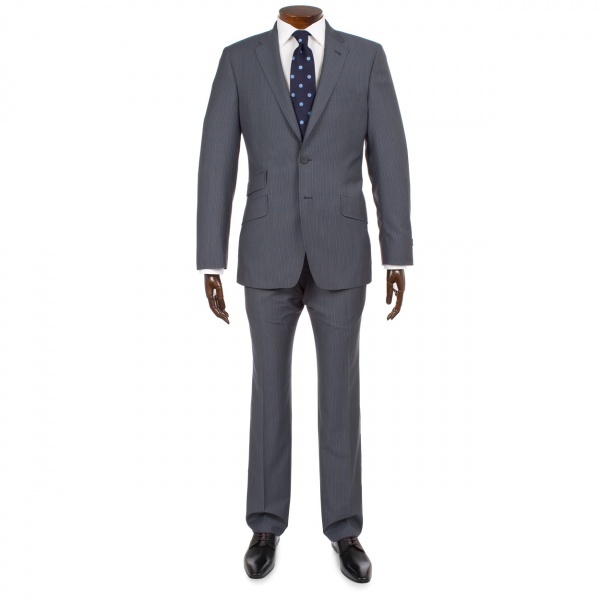 This is a great basic suit from Paul Smith that one can always count on. A two-button, slim-fit suit, Paul Smiths fitting and materials are always impeccable, and we’re suckers for the Abbey Road reference. Here it’s shown in elephant grey fine light blue and white pin stripe woven wool, but another lighter grey version is offered as well. Available now at the Paul Smith online shop. This entry was posted in Uncategorized and tagged Abbey Road, Paul Smith, Paul Smiths, Suit. Bookmark the permalink.